Apr 2, 2019 - The group receives an award from the Department of Chemistry to cover part of the cost of a shared Mössbauer Spectrometer. Yay! Mar 19, 2019 - First award comes in! Raul is awarded a travel award to the NSF CHE Early Career investigator workshop. Jan 11, 2019 - New labs ready to occupy! Dec 2018, Omri and Jewel become the first two grad students of the HSG, cheers! Oct 30, 2018 - Addison puts the nitrile gloves on and joins our synthetic efforts. Oct 29, 2018 - Zoe and Jewel start their rotation. Oct 29, 2018 - Undergraduate students Bridget, Derek, James and Madison join the group. Welcome guys! Aug 24, 2018 - Ryan, a rising senior undergraduate, joins the group! Aug 17, 2018 - Nick, the first undergrad in the group, starts his research endeavor! Jul 12, 2018 - Dr. Edison Castro accepts postdoctoral offer. See you in September Edison, cheers! Jul 2, 2018 - The Hernández Sánchez (HS) group opens for business! 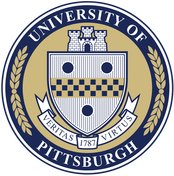 Mar 2018 - Raúl accepts the offer from the University of Pittsburgh.